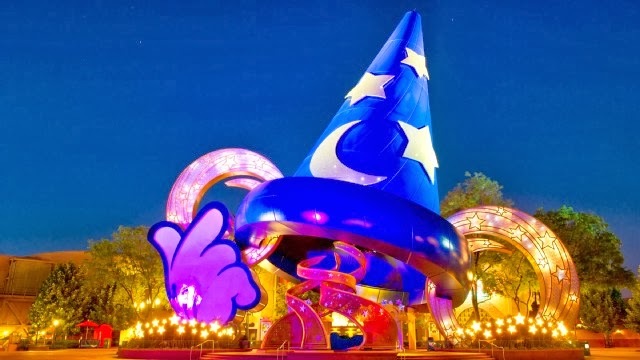 I wanted to write a post of my "top tips" for Disney World because I want to be able to refer back to this for our return trips and also share my favorites if you're planning a trip! Our first trip to Disney was due to business. Blake's company sent him to a conference for a week and we found out the hotel was in the Downtown Disney area and they told him his family could tag along so we definetly took the opportunity to go! Since we went under Blake's business trip we didn't stay on resort but the hotel was in Downtown Disney. Downtown Disney is basically a shopping center with restaurants, a movie theater, a bowling alley, lake, and Cirque De Soleil, as well as a big hot air balloon ride and there's some mini shows around the boardwalk as well. There are 7 hotels on Hotel Plaza Blvd and all of these hotels are on a Disney Shuttle route. So, you get picked up in front of your hotel and in about 15 minutes you're at the park of your choice. There's a Magic Kingdom/Epcot shuttle and a Hollywood Studios/Animal Kingdom shuttle. It's quick and drops you off right at the Ticket and Transportation Center. We stayed at the Holiday Inn in Walt Disney World Resort. The hotel was nice, the pool was AWESOME, and we really did enjoy our stay. The pictures of the pool don't show it real well but there's a "beach entrance" to the pool where it's ankle deep and you walk into the pool. There's a little splash fountain there as well. This was perfect for our 9 month old and me to sit while our 3 year old and Blake went to the deep part of the pool. There's also a Disney gift shop, a game room, a restaurant, and bar. All of the rooms have balconies too. I love when hotels have balconies so you can sit outside without leaving your room. Next trip we plan on staying on resort but I wouldn't count this out though. Plus, I earn points when I stay at IHG hotels, and my company offers a corporate rate, so it's a good option. 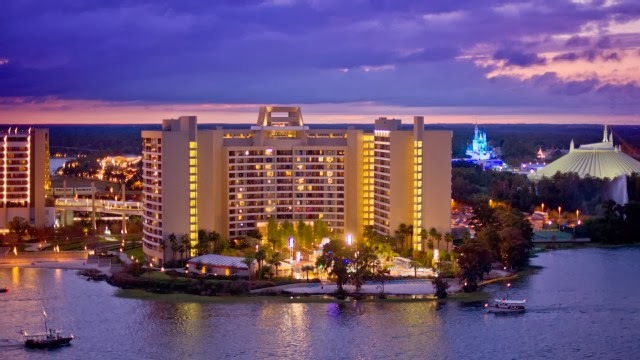 Next trip...We are going to stay, or we'd like to stay, at Bay Lake Towers at The Contemporary, or at The Polynesian Resort. The Polynesian is my sister and her family's all time favorite. We ate there one night and watched fireworks from the beach and they have huge movie screens set up playing, you guessed it, Disney movies, so I understood why they loved it. It's pretty awesome. Plus, it's the home of the Dole Whip at Captain Cook's! :) You can also get the Dole Whip soft serve at Aloha Isle in Adventureland at MK! The Polynesian Resort My sister Laura and her family's favorite resort! If we ever go with them, we will stay here! This has THE best view of the fireworks from their "beach" It was an awesome recommendation, thanks Laura! We flew and booked our flights with the flight that Blake had for work. Next time, we are driving. We have family in Mississippi that we can stop and see to break up the trip but I've always hated having to only pack this or that and worry about getting through security with two little ones, a stroller, baby bag, blah, blah, blah. I love road trips anyway so we will most likely make the drive our next trip. We had a rental car as well and I loved having our own transportation. We explored Orlando a little bit, went to eat at some restaurants outside the parks when we didn't have a dining reservation, and it was just a lot more convenient for us. If we ever do fly again, we will most definetly get a rental. If you stay on resort, or even off resort, your hotel most likely will have a shuttle to and from the airport and hten you have the shuttles to and from the parks but you are at their mercy as far as travel times and places you can go. If you wanted to go anywhere else you'd have to get a cab and that seems like a hassle to me. *Single Parent at Disney Tip* I'm not a single parent but I was during the day while Blake was in his classes. I took the girls to the parks by myself during the day, we'd come back late in the afternoon for nap and rest, and then go back in the evening with Blake. So, having our own car was especially helpful getting to the parks by myself in the day time. I wasn't able to hold Macy, fold up the stroller, get it on the shuttle, then get off, unfold the stroller, etc... I am 100% positive that the driver or another passenger wanted to help me but when we got there I did some research and found another Disney blogger say the easiest parking was at Epcot. (That link takes you to the monorail, boat, and bus transportation site with maps and info). Even if you're going to Magic Kingdom, park at Epcot, the monorail is right at the entrance and you take the short trip. This is only if you're staying off resort and find the shuttles don't work for you. If you're on resort then, use the rails and boats and buses from your resort. This is the first two lots at the entrance to Epcot. 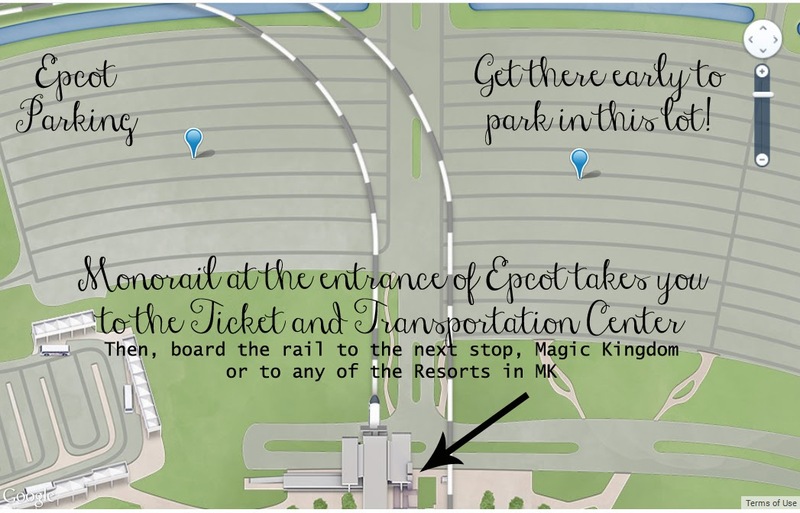 The monorail station is before the ticket gates and you can quickly hop on to go to the next stop which is the Ticket and Transportation Center, then on to the Magic Kingdom or any of the resorts in the Magic Kingdom. I found this to be the quickest way to get into the park/get on the rail. The lots at MK are HUGE and at Epcot, even the furthest lot is only about a 5 minute walk to the monorail/park entrance. Then you can stay at Epcot or hop on the rail to MK. I parked at Hollywood Studios which was also a quick park/walk to the entrance and did the same at Animal Kingdom. At AK I parked in a lot farther away but it was still a quick walk to the gate. Since my girls wake up at the crack of dawn we were ready to leave by 8:30 and get to the park by 9 when it opened. So, each day I got a parking spot at the very front or at least in the first lot they opened. It took me maybe 3 - 5 minutes to walk from the car to the monorail. It was awesome. I could take my time unloading the stroller, filling it with our bags and snacks, getting the girls out, etc... without feeling rushed that people were waiting on me. The only downside to this is that parking is $15 a day. But, I feel, in the end, that was worth it. Each evening when we would go back with Blake we would take our hotel's shuttle directly to the MK Ticket and Transportation Center. Stroller: We rented a double stroller from Magic Strollers in Orlando. They deliver it to your hotel or resort and they pick it up. It comes with a rain cover in case it rains, and of course they are cleaned and sanitized prior to your using it. They use the CityMini stroller which is so easy to fold up and open and it's very compact for a double stroller. Anna walked the majority of the time but in the evenings when the girls were tired it was a life saver. Plus, it held all of our bags and essentials. The seats lay flat for when they are asleep. The only thing about the strollers is that the baskets are tiny and not good for large items. But, I had my Mommy Hook at that worked perfectly. 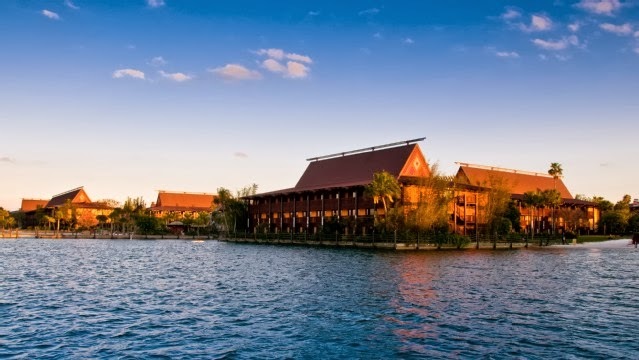 We had reservations each night of our stay at a restaurant on one of the resort properties or in the parks. I ended up keeping only three of these. It was easier to just grab something or eat at a restaurant around Orlando. We loved Akershus Royal Hall and enjoyed Cinderella's Royal Table at The Castle and loved eating at Kona Cafe at the Polynesian. Everywhere you go inside the parks, reservations or counter service meals are expensive. Just plan for spending a good chunk of change on food. You can take in your own soft sided cooler filled with water and snacks into the parks but during the day I knew that Macy was only going to take bottles and the graham crackers I took for her, and Anna only eats a little bit, and I'm good with snacky stuff so after the first day I didn't bother with the extra bag. 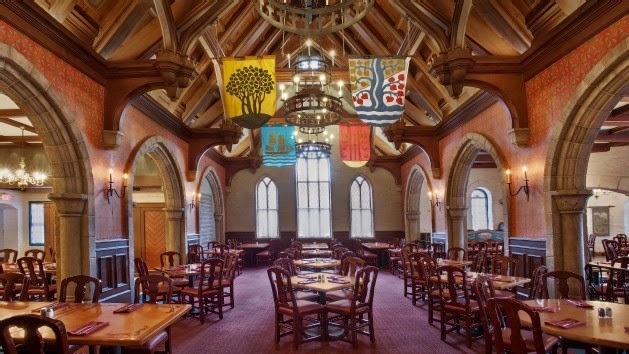 If you're into the princesses and want a princess character meal I HIGHLY recommend Akershush Royal Hall in Norway in Epcot. 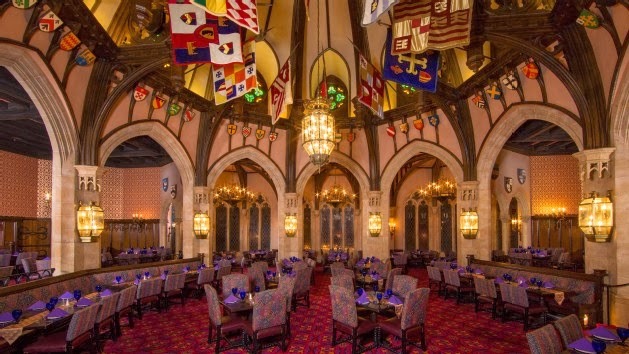 We ate here prior to eating at Cinderella's Royal Table the next day and I think everyone should eat at Cinderella's castle at least once but our next trip we are only going to go to ARH. There are all the princesses, there's a Princess Processional where all the little girls go on a walking "parade" with the princesses throughout the entire restaurant, and it was just more magical, to me, than Cinderella's Royal Table. In fact at CRT we didn't see any princesses. Besides Cinderella downstairs when they get your photo with her. When we were getting seated I guess it was "break time" but our waiter said the princesses would be right out but we were done with desert and Anna wanted to go ride rides so we left. She had already met the others at ARH anyway, and at Princess Fairytale Hall so she was ready to do some other things. 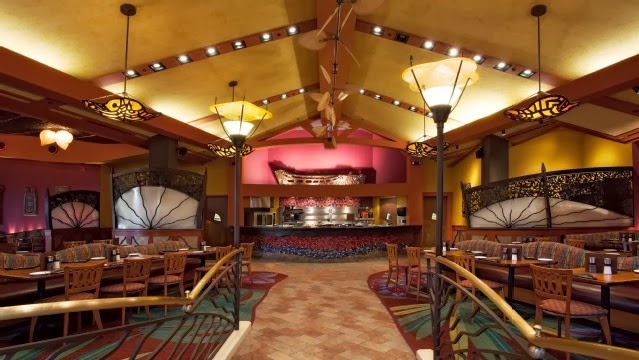 We chose to keep our reservations at Kona Cafe at The Polynesian. Everyone wants to eat at O'hana's but I didn't make my reservations in time. My sister told me it was better but I never got around to planning our ADR (advance dining reservations) until it was too late. But, I knew we wanted to eat at the Polynesian because Laura said that they have Movies Under the Stars (and, at other resorts as well) on the "beach" and it's the BEST way to view the fireworks from the "beach" there as well. We liked our meal and then walked out past the pool to the beach and you can see Cinderella's castle all lit up and the fireworks and then there are huge movie screens set up playing Disney Movies. It was spectacular evening and the weather was wonderful. Our next trip with both Blake and I and Anna will be older and Macy will not be taking a bottle anymore I'll most likely pack some food. Every other Disney blogger recommends Garden Grocer who delivers food to your resort or hotel. You order online and pick a delivery time. We thought about going this route but decided to just stop at Target when we arrived and pick up some basic things: bread, pb&j, cereal bars, drinks, sandwich meat, cheese, bananas, apples, snacks... to eat in the hotel when we were hungry for a snack but not a full meal. This worked really well for us. I also didn't pack any extra diapers or formula knowing I could just get it there at Target when we arrived. So, it was one less, or two less things I had to worry about fitting into our luggage. I think it's unanimous among the other park go-ers I talked to that the new FastPass+ system is pretty terrible. You have to stand in a long line to only get three fast passes. Then once you use one fast pass you are "locked-in" to that park all day. 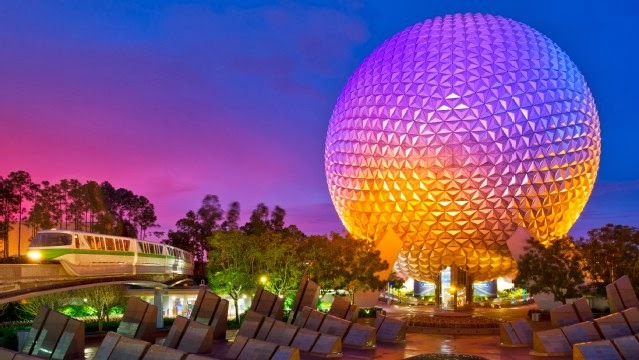 So, let's say I have the park hopper and I want to spend the morning at Epcot and the evening at Magic Kingdom. I go to Epcot and get a FP+ for the Finding Nemo ride and Turtle Talk with Crush. Once I use those I'm locked into Epcot. I didn't use my last FP+ thinking that when I get to MK I can get a FP+ there for Storytime with Belle. Even though I have that last available FP, I can't use it at MK because I'm locked into Epcot. So, that's a bummer. But, if you don't have to use one of the FP+ at Epcot you can get a new FP+ (if there's any left) for another ride. So, you can swap them out, but only at the park you are locked into for the day. Like at Animal Kingdom the line for Tough to be a Bug wasn't long at all, I didn't need my FP, so I was able to get another FP for another ride/character meet and greet. My top advice, if you're into the character meet and greets, is get all of your FP for THOSE. The lines for the rides really aren't that long, the longest I saw was 20 minutes the entire time we were there. And, that was for a ride that Anna couldn't even go on yet so it wasn't a big deal. Average wait time for all the rides was about 10-15 minutes. Not bad and pretty much what I expected for being at WDW. However, the Character meet and greets lines are longer because those experiences take longer because you get to talk to them, take pictures and it's about 5 minutes of interaction or more depending on how big a group is. This was the most fun for Anna and us being able to watch her. So, doing it all over again, I'd skip the longer lines for the meet and greets and use my FP on those experiences and opt to wait in line for the rides. Keep in mind that we went during what was supposed to be the busiest week (President's Day weekend) according to all the Disney blogger forecasters but it wasn't as bad as I was expecting. Also, all of the rides we could do were for toddlers. The longer lines were at the rides that "big" people could do so you might weigh your options and see what activities and rides you want to do. Of course, any cast member can give you advice on that. But, for those with toddlers who love the characters and there's not a whole lot of rides for them, opt to use the FP on the character meet and greets. Epcot: I want to go back to Epcot because all we did the day we went was stand in line for 4 hours to meet Anna and Elsa. It was worth it. *They do not yet have Fast Pass for this meet and greet. I made some "friends" in line, other moms, who we would take turns taking our kids to the bathroom and holding each others spot in line, we would take turns going to get food, and the chatter helped the line go by quicker. We went back that evening with Blake because of our reservations at Arkershus Royal Hall and we did Nemo, Turtle Talk, and then went home. It was a long day. We also had some other park encounters with characters, like Pluto!